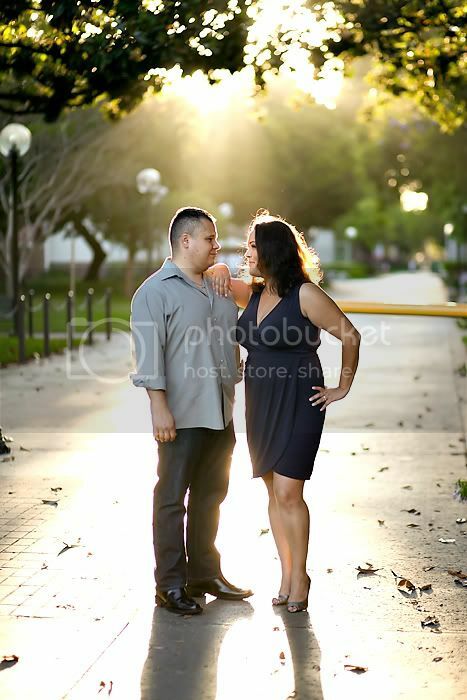 We made plans to do Cecy & David's engagement session at L.A. Live, since that is where they met. Of course, things don't always go as planned. Less than an hour before we were supposed to start I get a call from David telling me that parts of L.A. Live were closed. 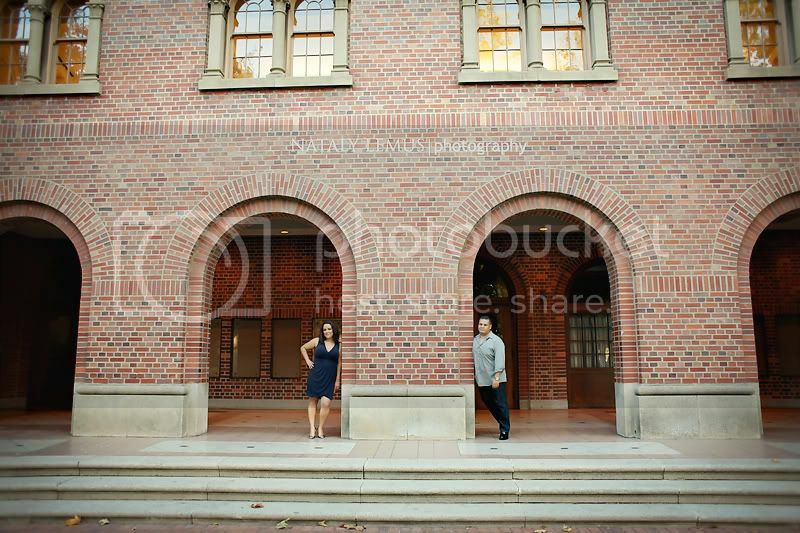 So we decided to do the session at USC instead. 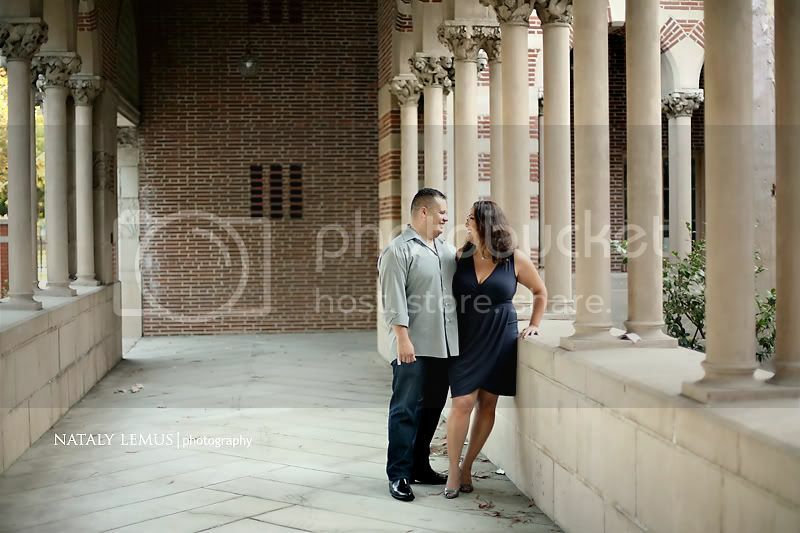 It worked out well because prior to their engagement session, Cecy and David had been debating between LA Live and USC. 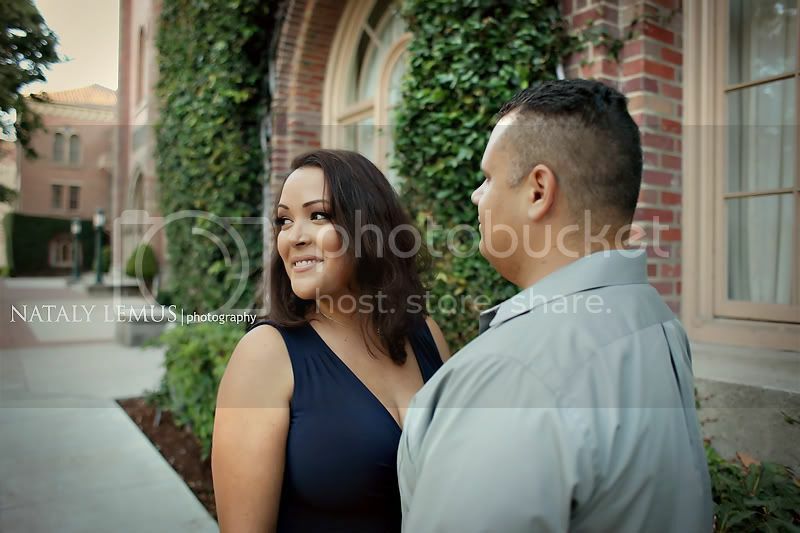 I was so excited to be photographing Cecy & David's engagement session because Cecy actually found me a few a years ago for her friend's (Susana) wedding. 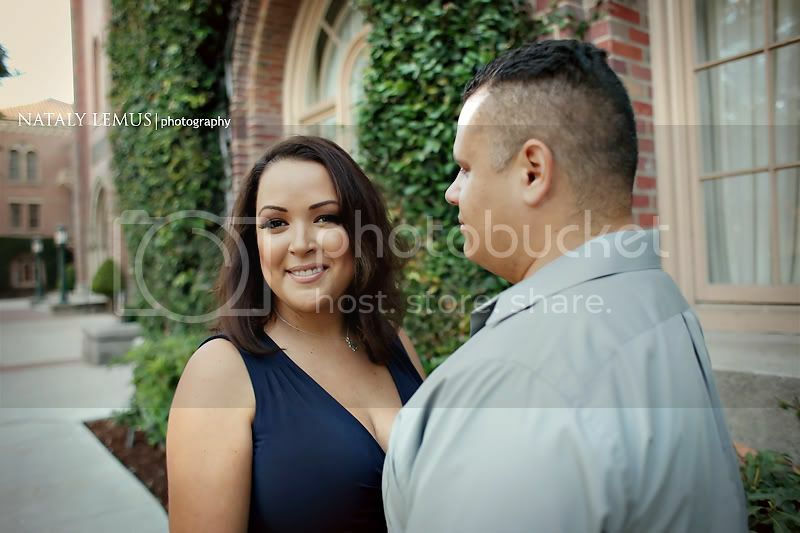 When I photographed Susana's wedding, Cecy told me she had referred me to her and that she loved our work. 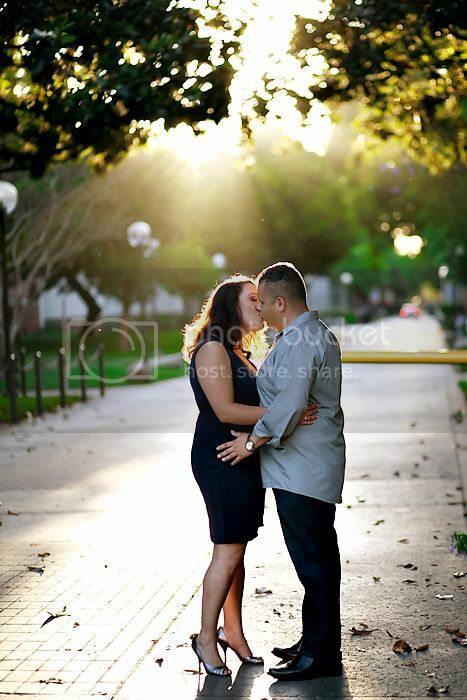 So, needless to say, when Cecy contacted me about her wedding I was very excited! 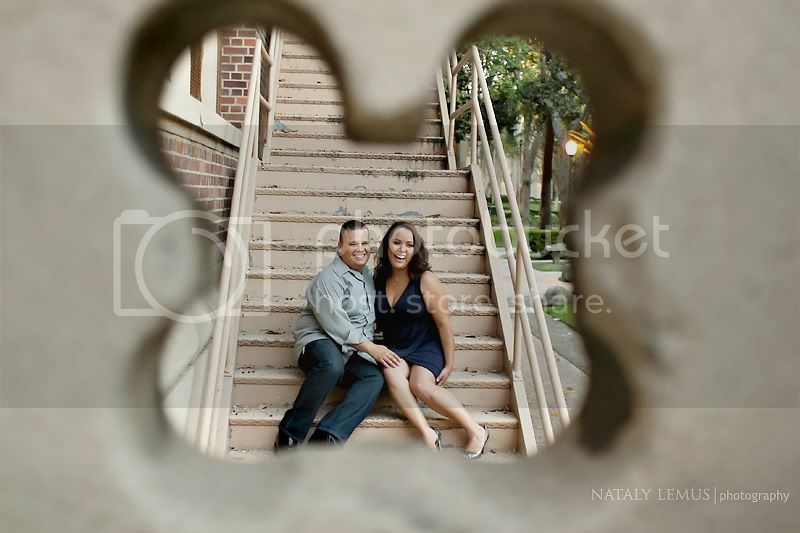 I can't wait to photograph their wedding. 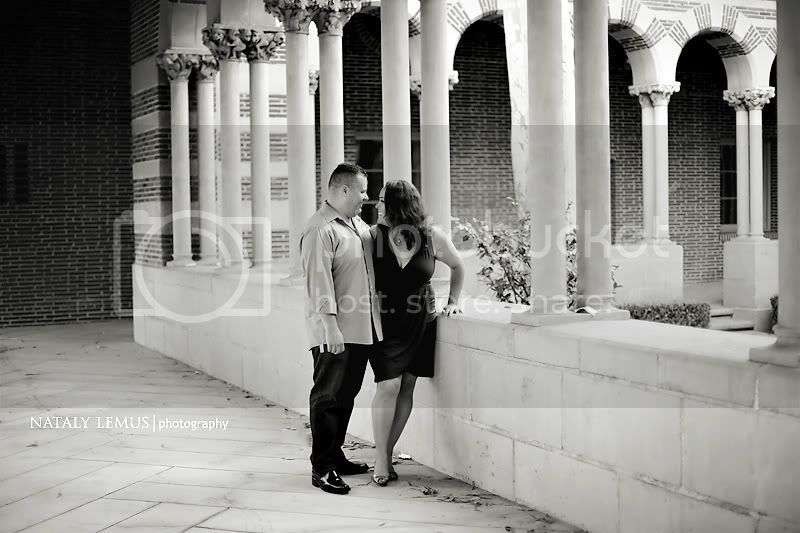 Of course I was just as excited to photograph their e-session since that is when we usually get to know our couples a lot better. 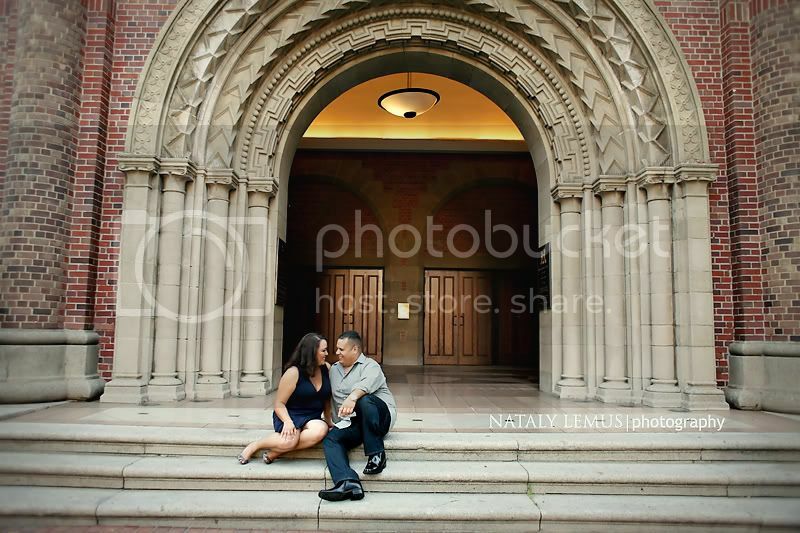 We had an awesome time walking around USC, taking photos, and chatting with Cecy & David. 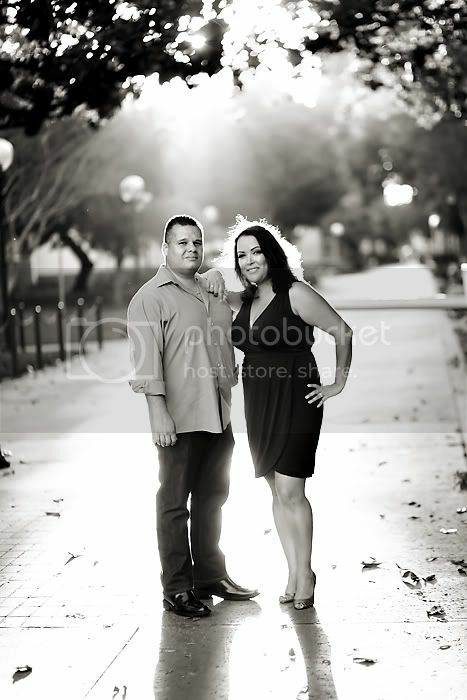 They are such a sweet couple! I don't know how Art and I get so lucky to get amazing clients. All. the. time. An action shot, of course! If you go waaaaaaay back on our blog I am sure you can find a blog post of how Art and I met. 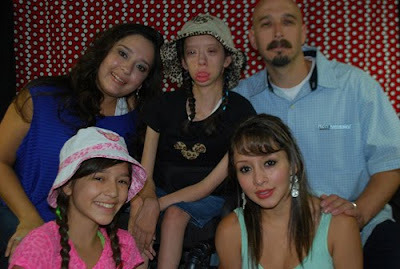 I'm sure you can probably find MANY blog posts about our story. Every year when we get to August I get really excited because it's one more year since Art and I got together. This August 13th it will be 13 years since we became boyfriend/girlfriend. How crazy is that? We had just gotten out of jr. high when we became bf/gf. This year I want to share a little celebration with you in a form of a gift. All I ask is that you share with us YOUR story. You know what time it is? Time for a contest in honor of our anniversary!!! I want to show Mr. Lemus that August 13th is to be celebrated and even you guys, our blog readers, will join in the fun! Who? This contest is open to any of our clients, past or present. People who have ever commented on the blog or on our facebook page are also able to enter regardless of whether you are one of our clients. You can also nominate someone who you feel needs this session, but the person nominating has to be a client or someone who has commented on our blog or facebook page. When? 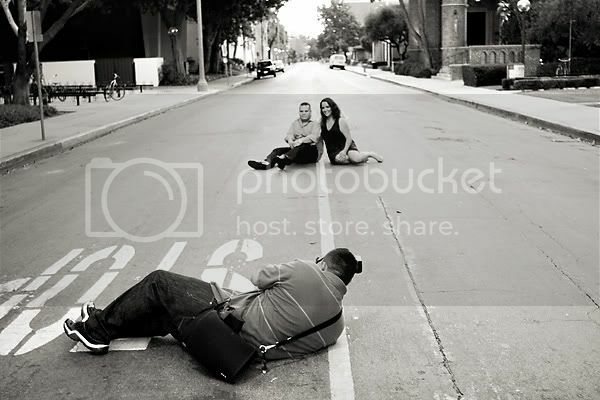 The deadline is Saturday, August 13th at 11:59 p.m. E-mail your entries to natalylemusphotography@yahoo.com. Whoever we feel is the most creative with either their story or photo will win. Of course, if the story is very touching that also counts for A LOT! :) On Monday, August 15th I will announce on my blog who the winner is. You should receive a confirmation e-mail from me when I receive your entry. If you don't receive an e-mail from me, please try e-mailing it again. You or the person nominated needs to be able to do the session within 30 days from winning the free session. You will be given location options, near the downtown LA area. Beforehand, I want to thank everyone who decides to enter this contest. Every single one of you, whether you enter or not, make me really happy. 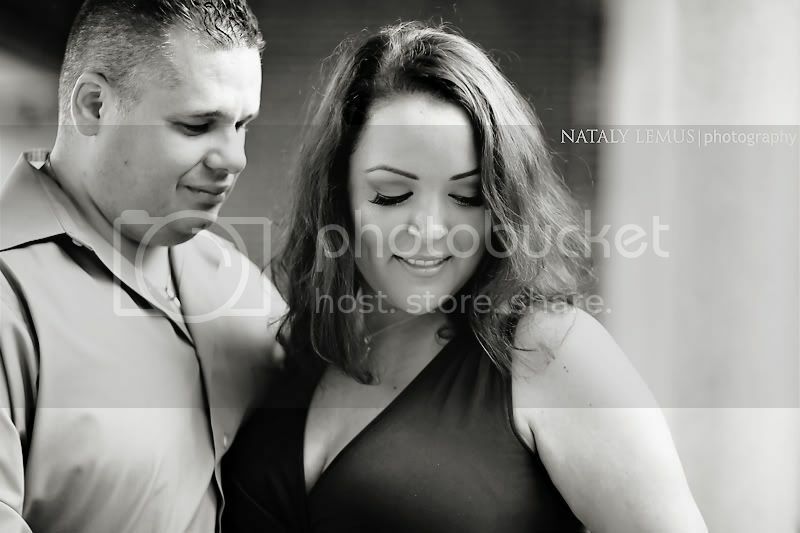 You are either one of our couples or people who take the time to comment on our blog or posts, which means a lot to both of us. I hope to see many entries! RESTRICTIONS: THE SHOOT IS SUBJECT TO OUR TERMS AND CONDITIONS AS STATED IN OUR CONTRACT, AND THE DATE AND TIMES WILL BE CHOSEN BY THE PHOTOGRAPHER. THE SHOOT WILL BE DONE IN ONE EVENING DURING THE WEEK, IN LOS ANGELES, AND WILL BE WORKED OUT BEST AROUND BOTH OF OUR SCHEDULES.